This was supposed to be a just-opened-the-box photo, but I couldn't resist playing with them first. 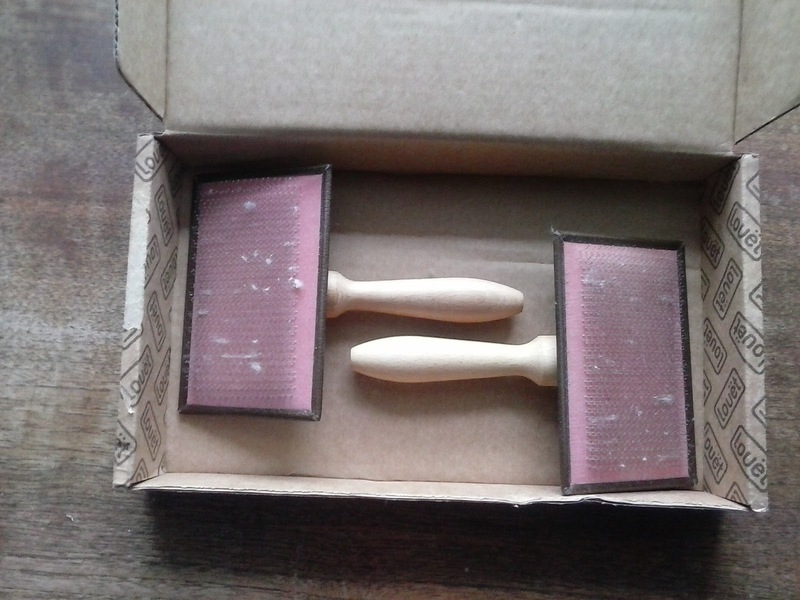 These are mini carders, hence the relatively cheap price of £12.95 + £2.75 delivery. I'm not sure exactly what pitch the pins are, but they're described as, fine . 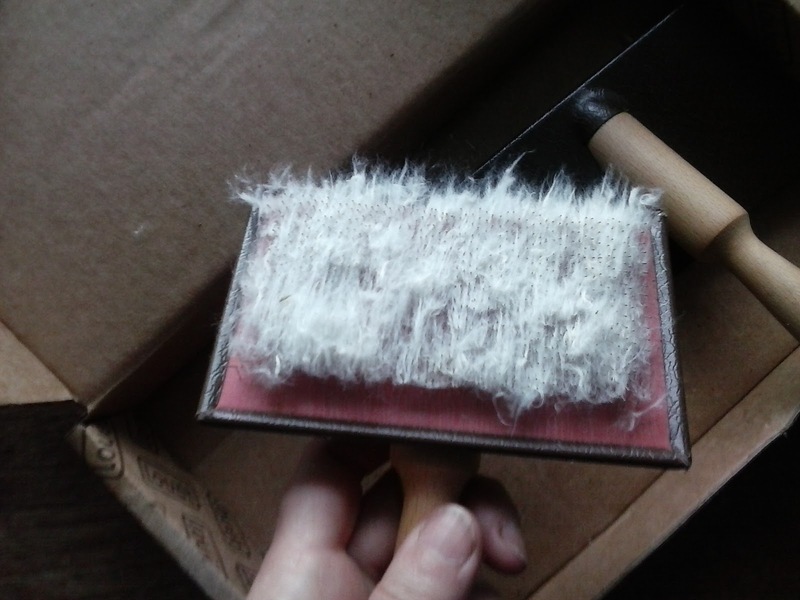 The last time I attempted carding I was about six and visiting a friend's grandmother. I can't remember much about it. Luckily I don't have to as the internet is full of helpful advice. 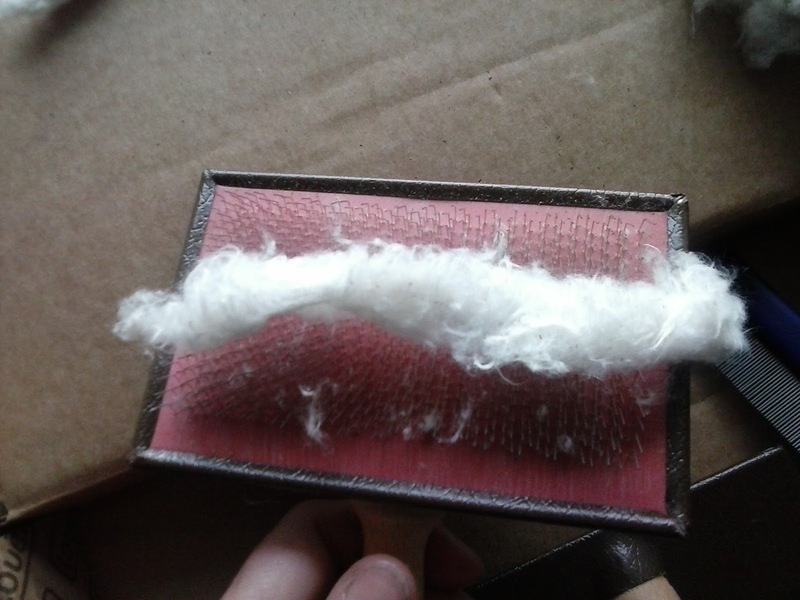 I found a blog post with nice clear pictures and, specifically for cotton, a video that gave me a good feel for the technique. 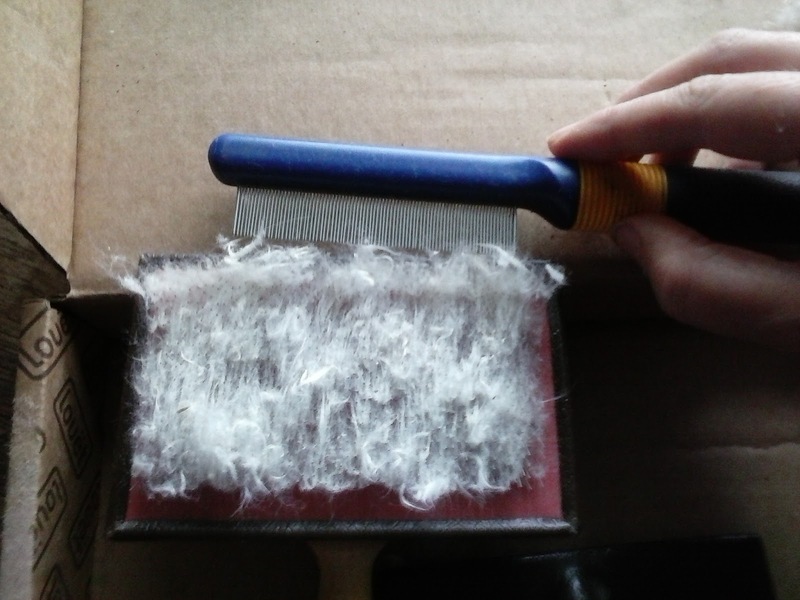 First, put some fluff on one of the carders, pressing lightly so it stays put. 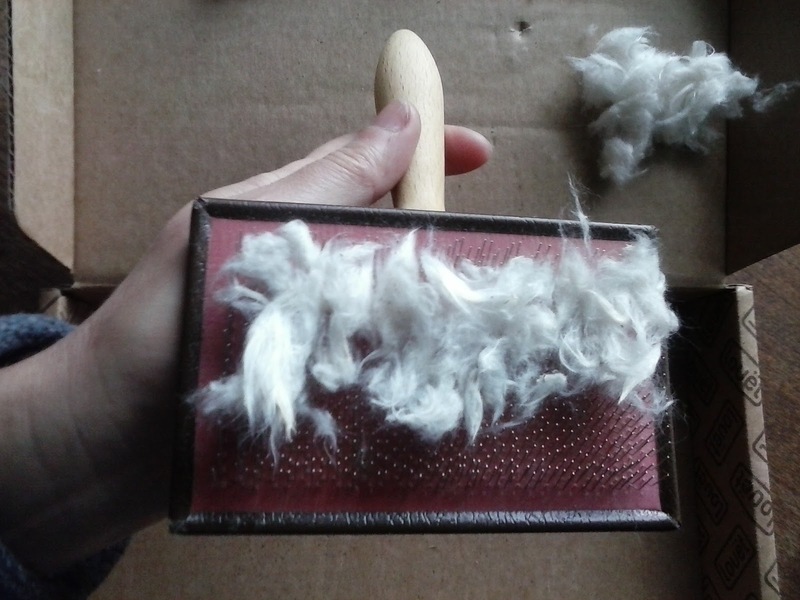 ... to roll the fluff up loosely. I rolled this over the surface of the pins, which made the roll much more compact. 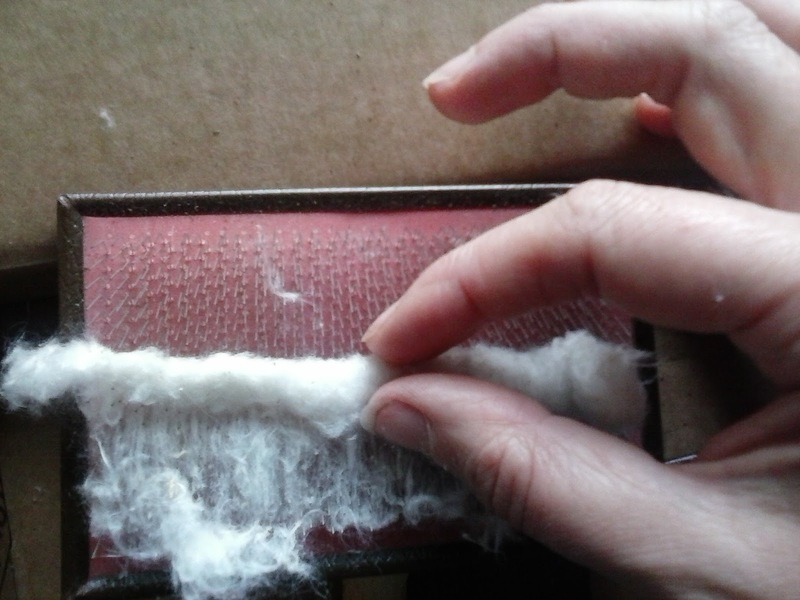 I guess this is the same process as needle felting. 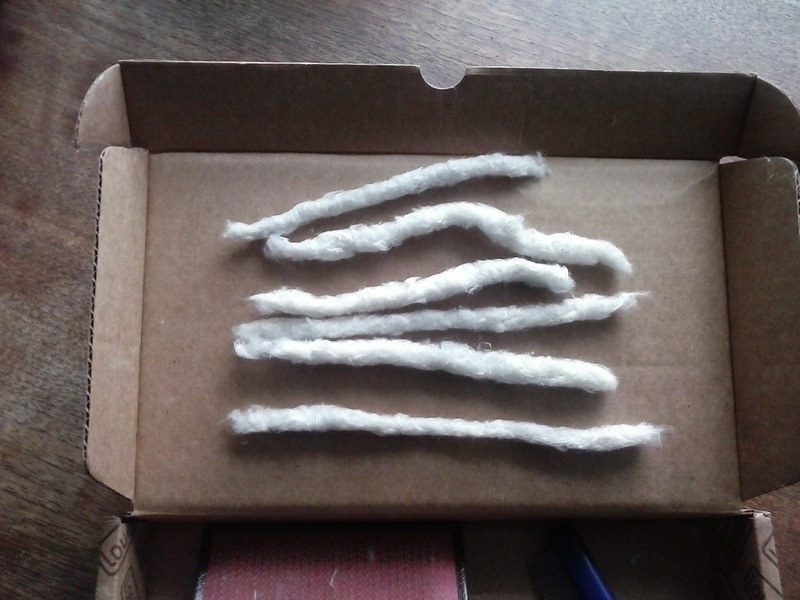 I now have six little rollags, or punis, as they seem to be called if they're cotton. the next step, of course, is to try spinning them. 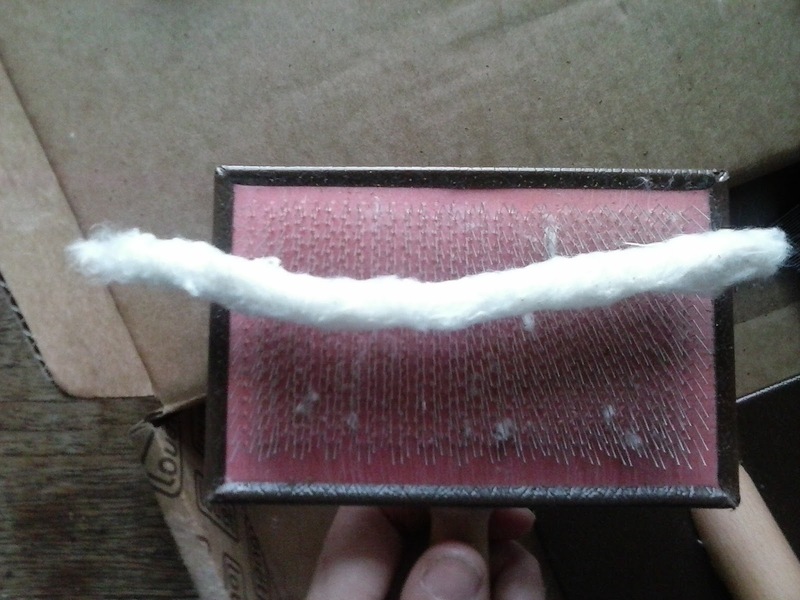 I've never spun rollags before and I can see myself pulling several of these apart before I get them hang of it. Maybe I need to make a few more before I move on to spinning. you are really making headway, looking forward to seeing how it spins.